Please support our projects of our Child centre and help to offer a warm lunch for more than 200 children a day. We are happy about regular donations, but also every donation one time helps. You accept a project sponsorship and pay a regular amount of your choice. You can make a donation at once. You can visit the AACTB Child Centre by prior arrangement and either donate directly on site or buy food and supplies together with us. Please note the information below. You can deliver urgently needed donations with your lagguage. You organize an event or charity for donations. Perhaps you are planning a birthday, barbecue, or family reunions? A direct cooperation on site is unfortunately not possible. The Cape Verde Association "AACTB" is recognized as a non profit organization in Cape Verde. We can issue you with a donation receipt, but we do not know whether this will be recognized in your country. For example, as a non profit, charitable or ecclesiastical service according to the German tax regulations § 52 AO. For the second room of our child centre: Lego DUPLO !! 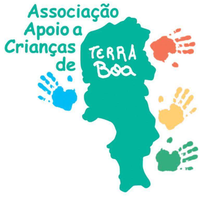 How do I get to the AACTB Child Centre in Terra Boa if I personally want to donate to the project? As part of its itinerary, Anne's Info Point offers selected tours with a visit to the child centre. You then incur no extra costs. On this occasion, you can also bring in donations in kind. Those who would like to visit the child centre outside the tours offered by Anne can do so at their own expense and by appointment. Please make an appointment in advance via the contact form. On the agreed day you will be picked up from your hotel by a driver and driven back again. The transfer costs depending on length of stay in the child centre between 40.00 and 50.00 Euro. Alternatively, you organize the transfer by appointment with a taxi or rental car. If you are an aviation sponsor or just want to donate donations in kind, Anne's Info-Point's staff will pick them up at your hotel free of charge. Please inform us via the contact form or Anne via WhatsApp (00238-9986654), so that she can plan and arrange an appointment for the delivery. How do I become a flight sponsor for donations or medical supplies already collected in Germany, UK etc.? If you still have space in your suitcase or want to carry an additional piece of luggage, please contact us via our contact form. We will then organize the donation transport with you. If you would like to collect and transport donations yourself, please note that airlines charge additional baggage. At TUI, for example, an additional suitcase with 20kg costs 65€. If you need help, please write us. If you want to organize and organize a donation event, we can send you flyers within Germany and borrow information material. Let us know so that we can support you. How do I behave correctly in the child centre? In the center it’s not allowed to take pictures or films. Photos can be taken from outside, the garden and ambiente. It’s not allowed to come into the center in bath clothes or without t-shirt! Our children live in difficult conditions in a shanty town. Even though we are very concerned about hygiene at the Center, there can be teething problems, stomach and intestinal diseases, skin diseases, parasites, lice, etc., as in any facility where many people are. Even against this background we keep children and visitors separated. Please do not give any donations directly to the children in the interests of equal treatment. The employees distribute the donations according to need and purpose. Please refrain from bringing sweets. Even though our committed dentist cares for the teeth of our children, the dental filling and consumable material is purchased by us in Germany or donated by German dentists and transported to the center with flight mentors. On behalf of the children and their families, we say Thank you! Obrigado! Wir sagen im Namen der Kinder und deren Familien: Danke! Obrigado! Noi diciamo a favore dei bambini e delle famiglie Grazie! Obrigado! Au nom des enfants et des familles nous disons Merci! Obrigado!